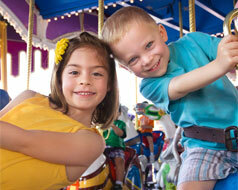 Disneyland and Disney World are some of the most well-renowned theme parks in the world. Does it matter which park you should go to? Or, dare I ask, have you ever wondered which is better? While similar in so many ways, both theme parks also have their differences. For example, you can put all of Disneyland into the Disney World parking lot. You can also go and experience all of Disneyland in just a weekend, where Disney World you need at least 4 days to see it all. Let’s look at some other differences! If you stay at a Disneyland Hotel, you get daily early admission. If you stay offsite and purchase a 3-day or longer park pass, you only get 1-day early admission. Traveling between parks is walkable and can easily take as little as 5 minutes. If you stay at a Disney World hotel, you are able to get into one park for 1 hour early and stay at another park for up to 3 hours after closing every day! Traveling between parks often takes at least 30 minutes to travel from one park to another and it requires you to use different modes of transportation such as a bus, boat, or monorail. As for which park is better, I’ll let you decide the battle between Disneyland vs Disney World. While comparing the two parks, just remember that you can never go wrong with going to either Disneyland or Disney World. If you can, go to both! They may have their differences, but Disney always goes above and beyond to make magic happen for all sorts and sizes in each of their theme parks. Let the magic begin!